Hypogenetic lung syndrome is another name of scimitar syndrome. In this syndrome, the lung is hypoplastic which drains via an anomalous vein into systemic system. The anomalous venous return appears as a scimitar in chest X-ray that is why this syndrome is named as scimitar syndrome. It is the clinical finding of congenital disease named pulmonary venolobar syndrome. Scimitar syndrome is a type of partial anomalous pulmonary venous return. Basically scimitar syndrome is the combination of two main conditions i.e. partial anomalous pulmonary venous return and pulmonary hypoplasia. This syndrome usually involves left sided lung. Blood shows movement from left to right side of lung. The vein involved in scimitar syndrome drains into portal vein, right atrium and most commonly inferior vena cava. Scimitar syndrome has various associations like localized bronchiectasis, vertebral anomalies, horseshoe lung, congenital heart diseases, tetralogy of fallot, diaphragmatic abnormalities i.e. diaphragmatic hernia, abnormalities of genitourinary tract, anomalies of vertebral column and last but not least pulmonary sequestration. Scimitar syndrome can be easily diagnosed because of these associative problems. Transthoracic and transesophageal echocardiography are used to diagnose this syndrome. Two types of angiography are also used i.e. CT angiography and MR angiography. Scimitar syndrome occurs in lungs associated with a specific vein named anomalous vein. So symptoms of scimitar syndrome are all related to lungs. At initial stage scimitar syndrome is asymptomatic and patient remains unaware of its presence. But in severe cases it show symptoms. These symptoms are cyanosis, shortness of breath, fast breathing, respiratory distress and retraction of rib cage muscles. These symptoms show the presence of scimitar syndrome without diagnosis. There are some minor symptoms which do not clearly show presence of this syndrome. 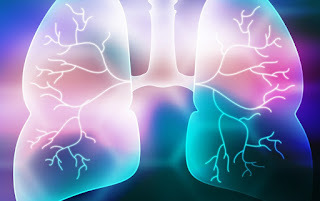 These symptoms involve simple cough, bloody cough, fever and infection in lungs. Hypertension in pulmonary artery and hemoptysis are also included in symptoms. Scimitar syndrome is a congenital disease which occurs during fetal development within womb of mother. The exact cause behind this syndrome is still unknown. It may transfer from generation to generation. So it is concluded that occurrence of scimitar syndrome is totally related to family history. If one of the parent is suffering from this syndrome then there are fifty percent chances that it will occur in their baby. Its occurrence is also associated with some hereditary factors. There is no external cause reported behind scimitar syndrome. In case of blood flow from left to right side and pulmonary hypertension, surgical correction is selected as treatment option. Other treatment options of scimitar syndrome involve Inter-atrial buffer which is created to make the flow towards left atrium instead of pulmonary venous return. There is also an option of implanting anomalous vein directly into the left atrium. The selection of treatment option is totally dependent on the condition of patient and the amount of blood flowing through anomalous vein. The level of shunting from left to right side is another factor affecting selection of treatment.